7 days in the steps of french history, and around the most famous castles of the Loire. 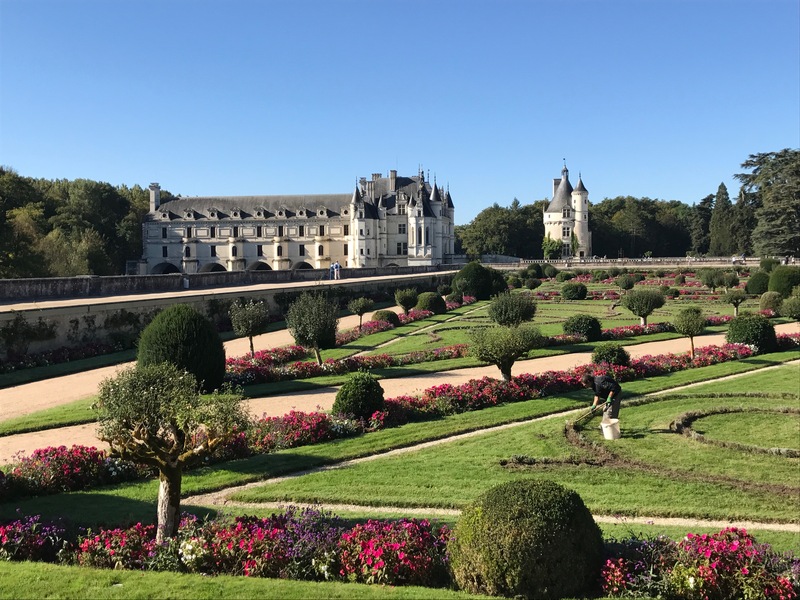 Chambord, Beauregard, Cheverny, Blois, Chenonceau, Amboise… These wonderfull Renaissance castles bring us into the heart of French History. 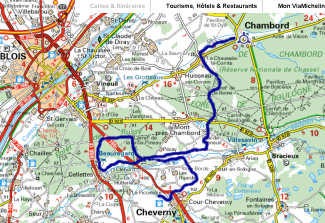 With itinerary 3 we start by riding in the favorite hunting forests of the Renaissance French kings, then along the wonderfull banks of river Cher and finish with the Chesnut trees of the Amboise forest. Pace: moderate – 4 riding days from 3 to 4h per day in the saddle. 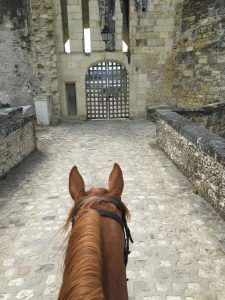 For riders who want to marry horseriding with most famous chateaux of the Loire visits. Horses: mixed breed horses trained with the trail ride. Arrival at château du Breuil near Cheverny for 3 nights. Begining of the ride to chateau de Beauregard by the Russy forest. We have the privilege to enter by the front path of the chateau: an unforgetable experience! Guided visit of chateau de Beauregard. Picnic with foie gras in chateau de Beauregard. 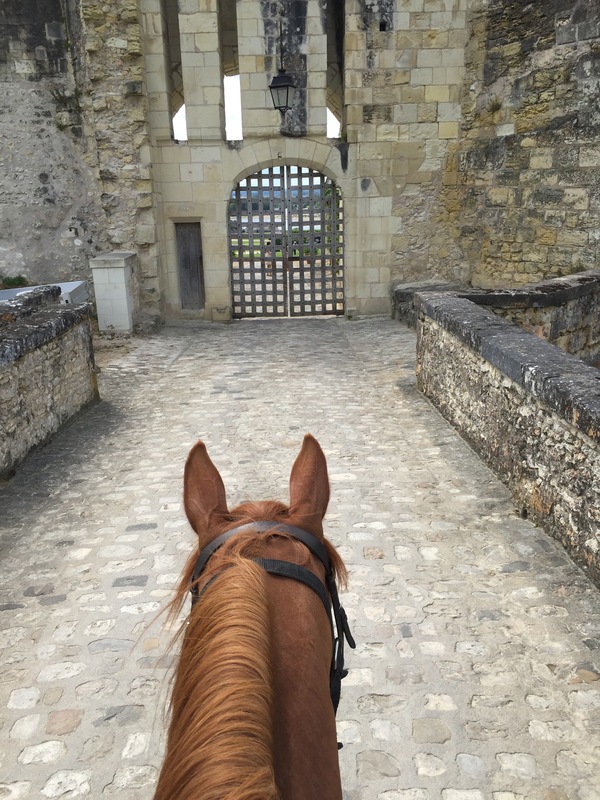 We leave to Château of Cheverny on horseback by the countryside and Cheverny vinyards. Visit of Château de Cheverny. Gourmet dinner and night at château du Breuil. Beginning of the ride to Chambord by the countryside and the Boulogne forest. Arriving to Château de Chambord on horseback : Royal! 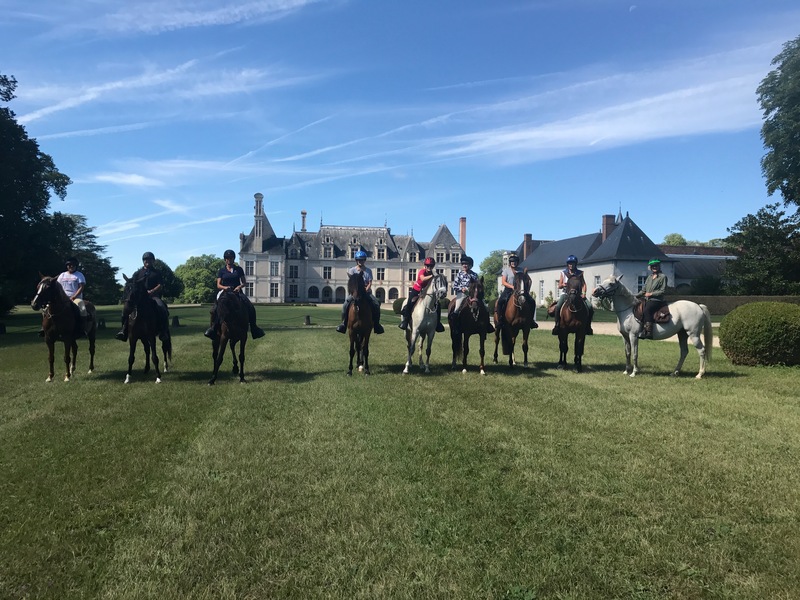 Horse show and visit of Chateau de Chambord. Transfer to Coté Loire, a charming guest housse in front of Loire river in Blois. Night light show in château de Blois in season. Breakfast at château du Breuil. Free day and transfer to Château de l’Isle near Chenonceaux. Briefing, dinner and night at Château de l’Isle. Château de l’Isle – Chenonceau on horseback. 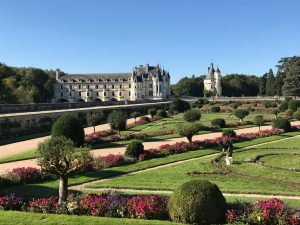 Visit of the château and gardens of Chenonceau. Lunch in château of Chenonceau. 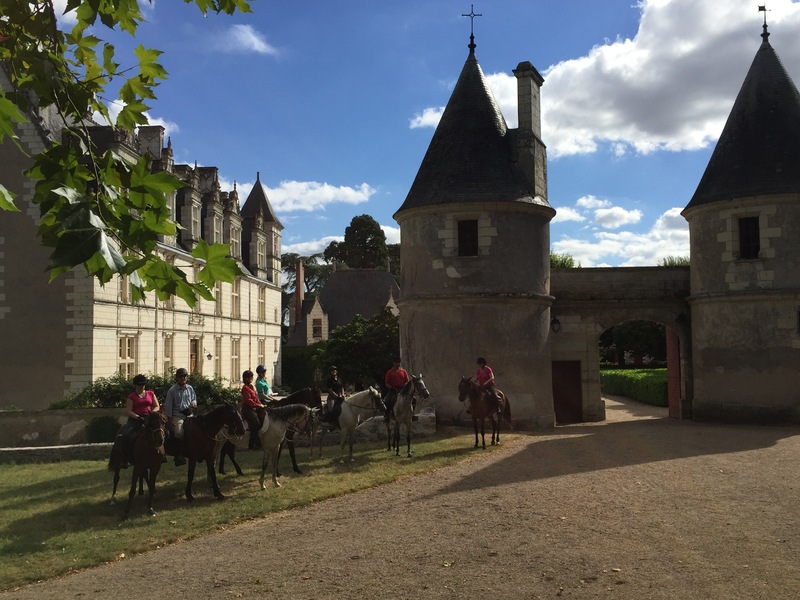 Chenonceau – château de Nitray on horseback. Guided visit of the caves, cellar and wine museum – wine testing. Dinner and accomodation in Château de l’Isle. Château de l’isle – Pagode de Chanteloup on horseback. We ride along Cher river and in Amboise forest. Visit of the Pagode de Chanteloup and old fashioned outdoorgames. Picnic with foie gras in the gardens of the Pagode. Pagode de Chanteloup – château d’Amboise on horseback. Guided visit of the Château d’Amboise. Gastronomic dinner and night in fantastic château de Pray at Amboise.